David Le/Gloucester Daily Times. 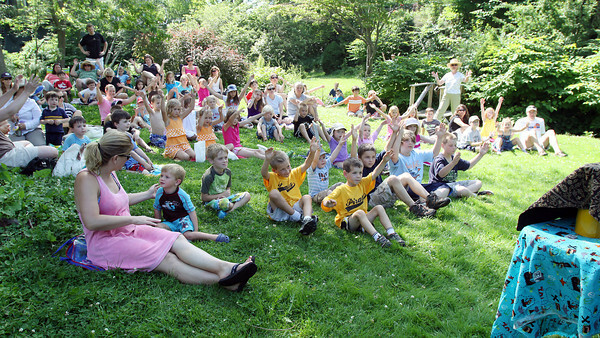 About 50 children and adults turned out to watch the Sky Pirate Show at Millbrook Meadow Park in Rockport on Wednesday afternoon hosted by Captain Robbie Bones, played by "Awesome" Robb Preskins. 6/29/11.